Create your own beautiful, professional website yourself without the expense of hiring a designer. 4 week online course starting on Monday 1st April 2019. You can create your own website ALL BY YOURSELF! You don’t need to know CSS or be a professional web designer to create a beautiful website. Let me be honest, I’m not qualified or trained in web design. I can make sense of a bit of coding here and there but I’m not a developer by any stretch of the imagination. However, I know what makes a good website and I know how to use Squarespace. I have created my own beautiful and successful websites and manage my clients’ sites too. I’ve been pleasantly surprised by just how easy it is and I want to share my knowledge with others. Squarespace is not complicated or expensive. It’s actually a lot of fun to work with and it’s hugely empowering to be able to create your own website. It’s time to take control of your website and create something beautiful that you’re proud to show to your clients. This is an easy to follow course that will be run over the space of 4 weeks. This will give you enough time to build it at your own pace but will also give you the focus and a clear goal to get something out there. Included in the course is a Private Group where you can ask for support from me, my collaborators (more information below) and your fellow students who will all be going through the same process as you. I have designed this course for service based businesses and not commerce websites. However, I will explain how to create a shop on your website if that is a part of your business. If you sign up before midnight on Sunday 31st March, you will have lifetime access to the course content. This is a time limited offer as I have a bit of a clock that I’m working on...you see I’ve got baby number 2 arriving in May! I will not be running this course again this year. I will keep the Private Group open for 3 months after the last class and support you when I can when baby arrives (although please do bear with me!). Please note, in order to make your website live you will need to pay the relevant Squarespace fees. I can provide a 10% off code for your first year. See more information on Squarespace fees here. Use your own photos or stock images? What do you think your customers want to see when they look at your website? Transferring your domain and making your website live! I was first introduced to Squarespace last year and I’m so glad I found it. I love how easy it is to create something professional and beautiful. When I first started my Virtual Assistant business I used Wordpress to create my website. I’m quite tech savvy but I found it so confusing. I wanted something that looked professional, clean and showcased me and my talents and it took me quite a while to learn how to use it - I ended up using a plugin to make it more user friendly. I lost content on my website twice when Wordpress updated which was hugely frustrating. When I was shown Squarespace I was pleasantly surprised. At last, the user-friendly interface that I craved so much with simple text boxes and the ability to move content around with the touch of a mouse. I decided to run this course because I wanted to share my knowledge with others. I find it hugely frustrating when I see other professionals not showcasing themselves with a poorly designed website. I’m not a web designer but I know what does and doesn’t look good. For example, a Virtual Assistant who has grammatical errors all over their website is not going to attract clients that want a professional service and if their website doesn’t flow easily their customer is going to get frustrated and find someone else. 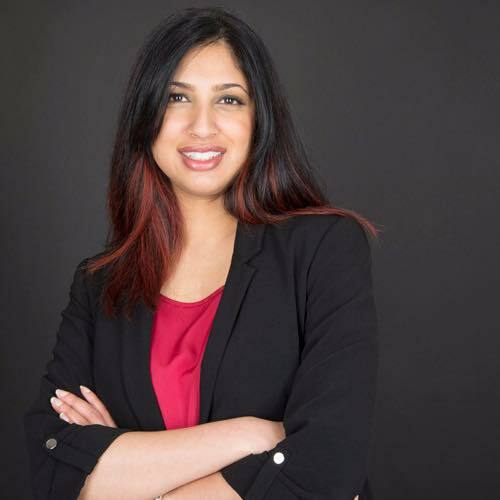 You’ll be learning from award-winning brand marketing expert and founder of LotusX, Varsha Amin. Varsha is a digitally focused brand marketer and strategist. She has over 10 years of experience in the industry and has worked with some of the world’s leading technology brands including Apple, Vodafone, Microsoft, Nokia, O2 and lastminute.com. Her work has also won a number of awards including a Gold Award from the Chartered Institute of Marketing Travel Industry Group (CIMTIG) and a Silver Award from the Institute of Promotional Marketing. She has recently founded LotusX and is coaching emerging brands, helping them to succeed in a competitive online world. Living and working amongst a community of inspiring independent businesses in The New Forest, Emily’s writing is about connection. She works with small businesses who are rooted in the local area of Hampshire and Dorset. Writing for business is about talking to each other - clients, customers and other business owners. Laura has worked as a Creative Director at a large marketing agency and produced campaigns for brands such as Apple, Sainsbury's, Morrisons and Curry's PC World, and now works as a freelance writer and Virtual Assistant for a range of small to medium businesses. She combines this with writing the award-winning Savings 4 Savvy Mums blog and working on large brand campaigns. With over 10 years experience in SEO and Google Ads, Laura knows nothing is more important to small businesses that being in the top 5 results for your keywords. 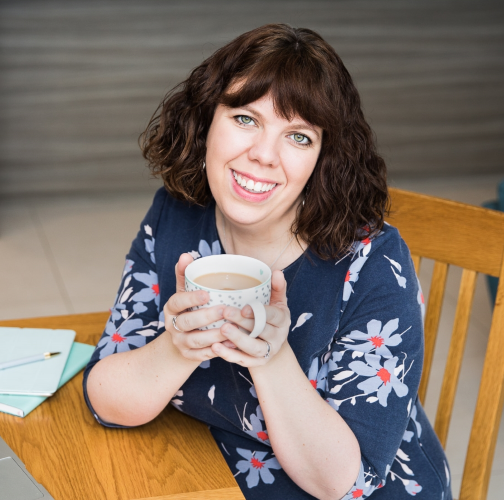 Laura will be covering all the SEO basics from Google My Business to explaining On-page and Off-page SEO and why researching your keywords is so important.